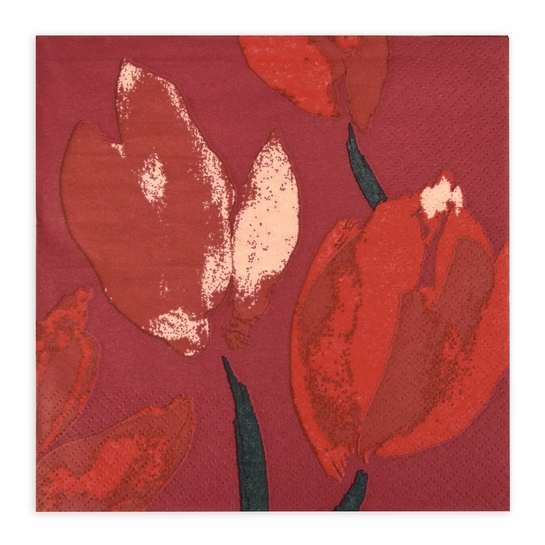 More about Pentik Tulppaani (Tulip) Lunch Napkins Holiday dining can be both beautiful and practical. Printed with Lasse Kovanen's festive red Tulppaani (Tulip) print, these all-occasion paper napkins come in a pack of 20. They are printed with non-toxic, water-based ink on biodegradable materials for a more eco-friendly way to enjoy the convenience of disposable napkins. I bought this napkins to go with Pentik's Sylvia table runner, but find that they don't really compliment it.. Still, they do have an interesting design. The colors are more muted than I expected. 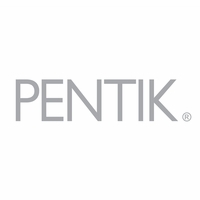 I do recommend them, but in my opinion the design and colors are more subdued than many Finnish designs.